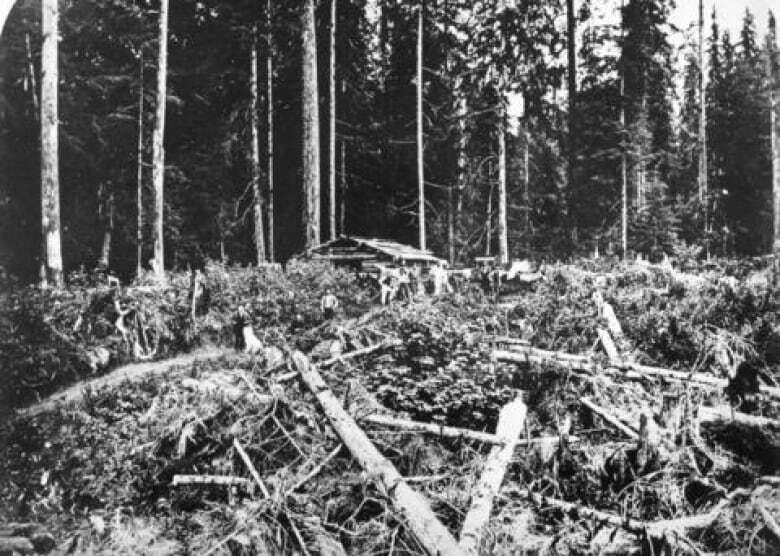 Decades before Vancouver was an official city, settlers began razing forests to sell massive old growth Douglas-fir trees. Long before Vancouver's Shangri-La and Harbour Centre defined the city's skyline, giant evergreen trees towered over those who dared step foot inside the rugged wilderness. 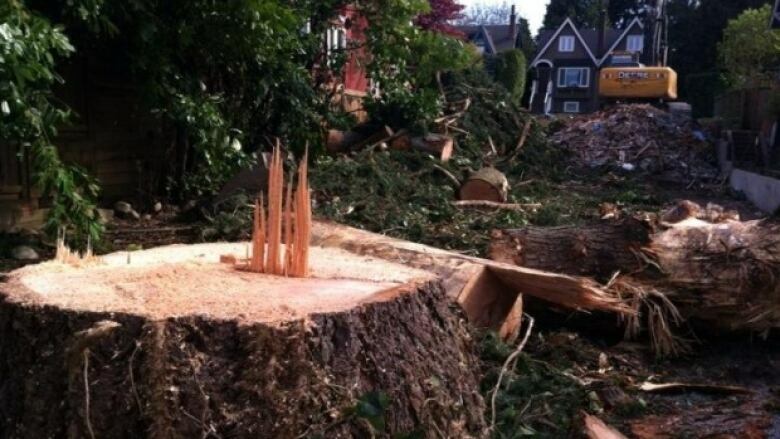 "We grew some of the tallest trees on earth," said Vancouver's own "tree guy" David Tracey. In fact, the massive trees are what put Vancouver on the map. 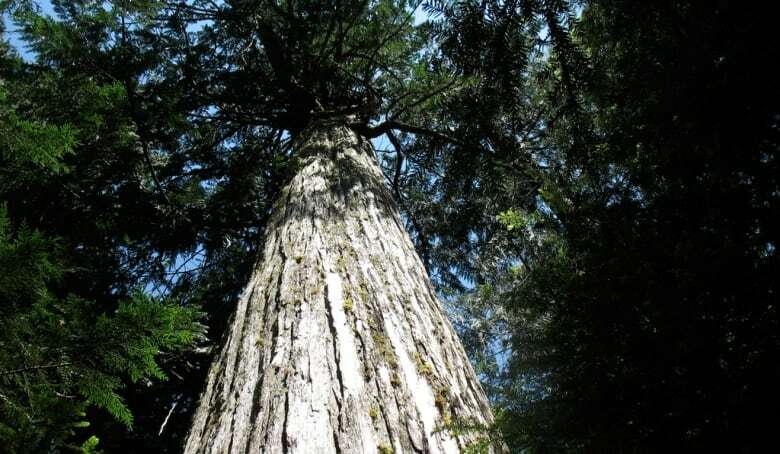 Tracey says when the first Europeans arrived in the 18th century, they were astonished by the magnitude of the giant, 1,000-year-old Douglas-fir trees. "They would have seen trees that are so big around they would have needed seven or eight of them linking arms just to surround the trunk," he said. So the settlers did what many settlers do: they chopped them down. Tracey says Vancouver was initially created to sell lumber in the mid 1800s. 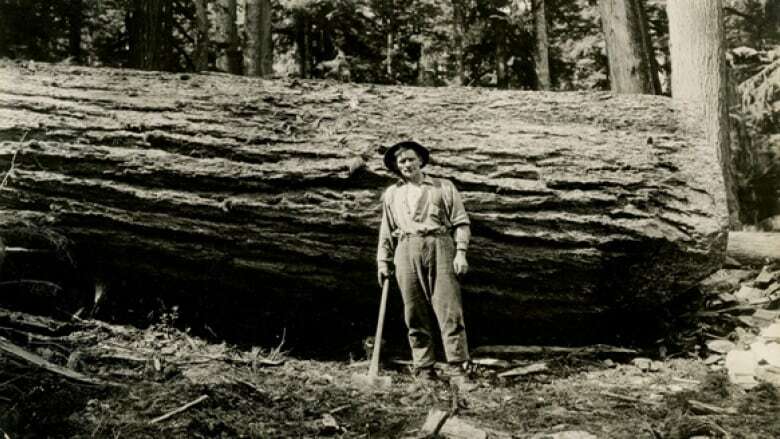 Logging became the primary order of business decades before the city was even officially established. The history is even commemorated on a monument that sits near the Port of Vancouver on Dunlevy street. It reads, "On July 26, 1867, the vessel 'Siam' left Stamps' Mill with lumber for Australia, thus beginning Vancouver's prime function: the supply of her great timbers to the world." Tracey says the mill exported over 1.2 million metres of timber in a single year. Chief among the supply was the iconic Douglas-fir. "They would grow 80 or 90 metres or more — so if you were to chop down one of these Douglas-fir trees, a mature old growth Douglas fir tree, and lay it down on a soccer field, it would cover the length of the soccer field," he said. "Some went to Australia, some were sent to the Emperor's forbidden palace in China. [They went] all over the world because it was such a superior lumber — and it still is." Tracey says the Douglas-fir remains the most important timber tree in North America, utilized for construction, furniture, and even pulp. The bulk of the Pacific Northwest's old growth Douglas-firs are long gone, but Tracey says the fruits of their global demand remain — in the form of the cities we live in. And while a history of clear cuts might leave a sour taste in the mouths of nature-lovers, Tracey posits a simple question: where would you prefer to live? "Maybe it's beautiful. But do you really want to live in a dark, dripping rainforest all year round?"